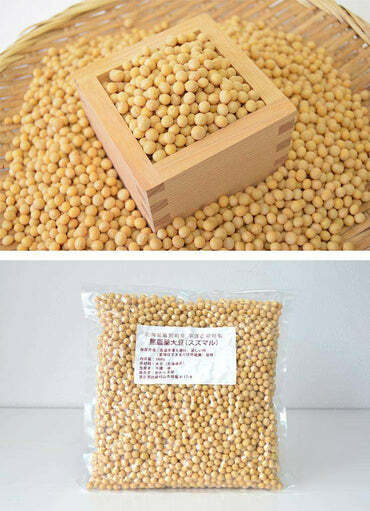 Toyomasari is a soybean that has a good taste and sweet flavor, so it is also called as "The Soybean Grand Champion". This soybean is suitable for boiled beans because it has a rich delicious flavor. It also suitable for making miso or tofu. Because the content of sucrose is higher than any other soybeans, you can taste the rich flavor of Toyomasari in various dishes. It is an organic, pesticide-free, and no chemical fertilizer cultivation soybean from Hokkaido's Prefecture. Made in Makubetsu-cho, Hokkaido for mode than 30 years. Being harvested when they are completely ripe, these soybeans are rich in nutrients and have fine quality of taste and flavor. I have been making organic, pesticide-free beans for more than 30 years in Makubetsu-cho, Hokkaido. Harvested beans were dried in sunlight without relying on machines, the condensation can bring the sweetness to the beans. 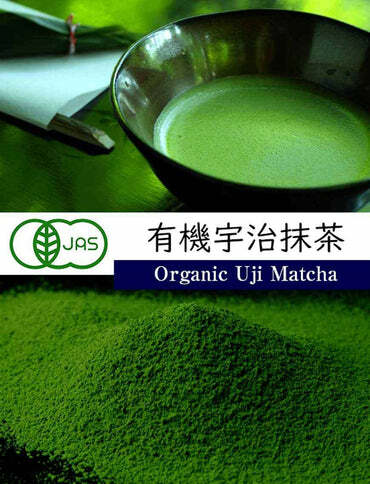 Organic, pesticide-free, non-chemical fertilizer cultivation, and carefully raised with natural drying. 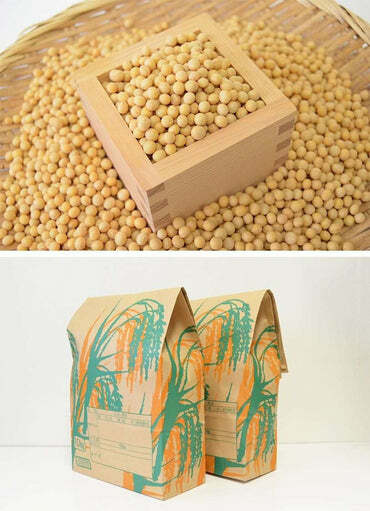 The best choice of soybean for tofu. Please try it once. 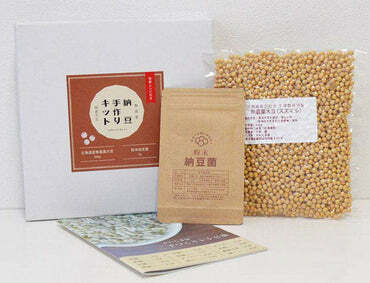 You can use this Toyomasari Soybean for many dishes because of it's rich, delicious flavor. Please use this for making homemade miso, tofu, or even natto! We also recommend you to use it for boiled soybean! You will get an email about how to boil soybean deliciously and a recipe of how to make homemade miso. When I used it for boiled soybean, it tasted so delicious. Next year, I will purchase this soybean for all my family. I can taste the soybeans so firmly. I bought this soybean for making homemade miso. When I do the tasting to the boiled beans, I can't stop tasting it because the taste is so firm! I'm looking forward to the completion. I just eat one grain, and it's delicious! I tried making miso for the first time. When I eat one grain of Toyomasari's boiled soybean, the taste is so delicious. I realized that I can make a delicious miso with this fluffy beans. I am looking forward for the completion. And I am planning to order it again. It is a good soybean with round and solid grain. Delicious soymilk with gentle taste. I started using a soymilk maker to make soymilk at home. I think it would be good if I purchase this organic soybean since I continue to drink soymilk almost everyday. Organic soybean is very good for your health comparing to the inorganic soybean. You can drink delicious soymilk with a gentle taste with this soybean! Soybean is very good ingredients for diet! Soybean contain many nutrients and good ingredients. Soybean contains whole nutrients suitable to be said as the meat from the field. It means that the protein of soybean is comparable to meat and fish. Furthermore, soybean has a function of lowering cholesterol, lowering natural fat and body fat. Soybean isoflavone is a type of polyphenol that is contained in a large amount in the soybean germ originally and has antioxidant action. The component structure is very similar to female hormone's estrogen, that is said to have a beauty effect. Soybean saponin which contains antioxidant and anti-inflammatory becomes the main reason behind the astringency and bitterness of soybean. Soybean saponin has a strong antioxidant effect so it also can smoothen the blood flow. It also alleviates stiff shoulder and sensitivity to cold. Soy Lecithin is an unsaturated fatty acid that contained in soybean. Soybean lecithin is an essential ingredient for generating cell membranes. It also called "rejuvenating nutrients" because it acts on all the cell membranes of the body such as skin, internal organs, brain, and nerves, which keeps the cells healthy. It also keeps the blood vessel clean. In soybean, the calories are about half the calories of sugar. The soy oligosaccharide promotes breeding of Bifidobacteria in a smaller amount than other oligosaccharides. Gomoku mame is a Japanese food consists of 5 ingredients including beans. "Gomoku" means five ingredients and "mame" means beans. Cut other ingredients about the same size of soybeans (about 1 cm cut). You can prepare any other materials beside of soybeans with your own preference. For konnyaku, please add 1/2 teaspoon of salt to the cutted konnyaku and leave it for about 10 minutes. For dried shiitake, please soak it first until soft and save the shiitake stock for later. Put the ingredients in the saucepan, add 500ml of dashi stock and 100ml of shiitake mushroom stock. Put all the seasoning (soysauce, mirin and sugar) in the pot and put it on the medium heat. When it gets to boil, change into low heat. Cover the pan lid and cook for around 30 minutes. Please check the hardness of the bean and adjust it with your own liking. Add more water if the amount of stock is small. Gomaku mame is ready to serve. It is delicious to eat it immediately after cooking, but it will be more delicious if you set it overnight. The dish can be refrigerated for about 4-5 days. This soybean is raised carefully for being organic, pesticide-free, and without chemical fertilizer cultivation. Because we do not use pesticide, it takes a lot of time and effort to remove the weeds. We work with 100-150 part-timers every year. The field size is 30 hectares. We make beans at 22 hectares and we use the rest of the field with other plan necessary for making delicious soybea dishes. Also, we are sticking to the natural dyring process that becomes the characteristic of this bean. The picture on the left: pile of the harvested beans and being dried in this way. Using this method, the sweetness of the beans will be condensed. The picture on the right: the manufactures are using traditional tools to remove small benas and pebbles.